This Year is Going to be Grand. This Year is Going to be Splendid! Welcome audiophiles, to a new chapter. Welcome to 2014. Welcome to the formal addition of one to our running count of orbits. Things around us really don’t look all that different, but while we celebrate another revolution of our dear planet Earth without spinning horribly out of control there is a change in people’s spirits. Hopefully you all feel refreshed and ready, because the musicians we all love are coming back with more auditory goodness than we can deal with. So let’s start this year off light. Let’s start with fun, good vibes, and a gigantic irrepressible grin. It seemed perfect that my first post of the year would be a debut from a Canadian band that is determined to exude positivity. On this, the first Wednesday Wandering of a new year, let’s spend a few minutes with the warm tones of Grand Splendid. 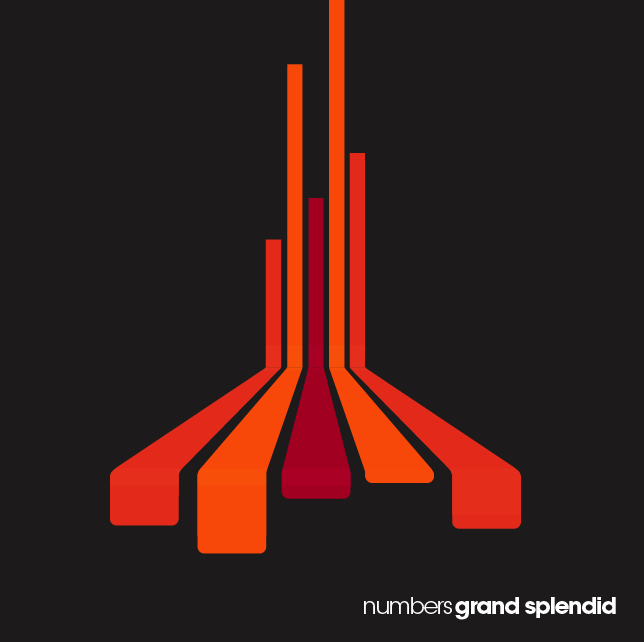 Grand Splendid is a Montreal rock outfit who have emerged onto the scene and into my ears with their debut EP, entitled Numbers. If nothing else, this EP is darn charming. There is something about the pop-rock sound of Grand Splendid that made me connect with the band immediately. Their songs are instantly enjoyable and rather infectious. Like your buddy across the room bubbling into laughter, you won’t be able to help yourself from joining in. We are dealing with upbeat and catchy rock that will sit in your head for a very happy chunk of time. So we’ve established that Numbers is an EP that really anyone can simply enjoy right off the bat, but that doesn’t mean there’s no meat in there. A song like “Last” shows Grand Splendid’s ability to make a fairly simple song progress and build. I am reminded of a band like Yukon Blonde, where the songs are light and easy with just enough extra juice to keep you coming back. A real old-fashioned sound is worked in under your primary guitar-bass-drums-vox layers in the form of keyboards and pump-organs. Every little guitar riff is overflowing with life. But the most endearing element of Grand Splendid, for me, is vocalist/guitarist Julian Buchbinder’s accent. There’s something very humble about it. No pretension, no masking, on such a joyful EP it feels like it’s just a few guys around the corner who want you to sit back and smile. Well Grand Splendid, I am sitting back. I am smiling. Let’s start 2014 on either one of our two good feet. Listen to this EP from Grand Splendid, and tell me truthfully; How Do You Feel Now? Good show. Discovered GS last Summer at Quai des brumes in Montreal. I really like the shimmering double-tracked guitar riff in Hopeless. Speaking of Hopeless, these Grand Splendid guys are class acts. I’ve always loved that guitar effect that is used during the Hopeless solo, but was never able to find it in my own playing. A quick email and these guys told me exactly how it worked. True gentlemen.